Meryton Vignettes was a statement that Elizabeth Adams is trying to go beyond one-dimensional characters and the simple love story we may find in some Pride and Prejudice variations. On Equal Ground is the proof that she has what it takes to build a solid, mature book that will inspire readers who believe in real life and second chances. This book marks her literary signature, she is not afraid to risk controversial stories and executes them beautifully! 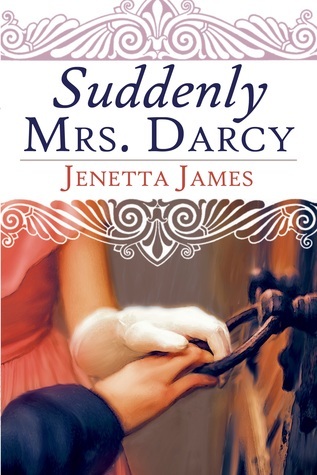 I have to start by saying that in this book Elizabeth Bennet meets and marries an older man when she is but 18, she falls in love with her husband and bears him 3 children during a very happy marriage, this means readers will need to be able to cope with this premise if they want to enjoy the book. The story starts in 1809 and will follow the lives of the characters for many, many years. This is a detail I enjoyed immensely because it allowed me to accompany the characters, especially Elizabeth, while events made them grow from young people into mature men and women. The end of the book follows this logic as well, and we will be gifted with information on the lives of all Bennet sisters and most of the co-adjuvant characters. The fact that I could see what occurred to these characters throughout their entire lives made me feel more connected to them, and this proximity made me love the book! Elizabeth Adams also creates some interesting original characters in this book and even has the audacity to make us love them (you know I’m talking about Darcy’s rival). The relationship these original characters will establish with the ones we already know from Pride and Prejudice will allow us to see a different side of them, and I enjoyed that immensely, particularly the fatherly characteristics we will see Darcy displaying with young Robert. Their conversation in the end of the book has such a peaceful tone in it that it made me come to terms with the entire premise. On Equal Ground is a well written, clean and sound book that shows an impeccable taste from the author, I recommend it to those who like real life stories and characters, and particularly to those who like quality literature. 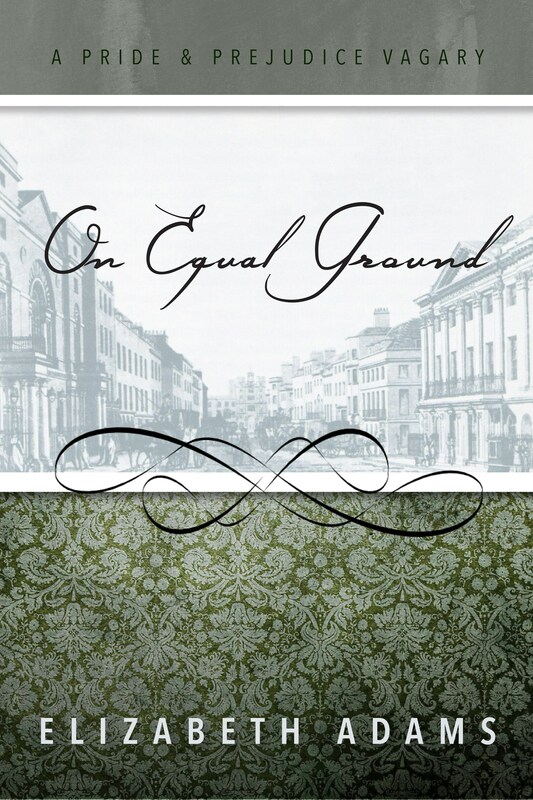 Elizabeth Adams would like to offer 1 ebook copies of On Equal Ground to my readers. ALL those who comment this post will be entered into the drawing! Let us know what you think of this book or Elizabeth Adam’s previous stories. The giveaway is international and will end on the 10th of October. 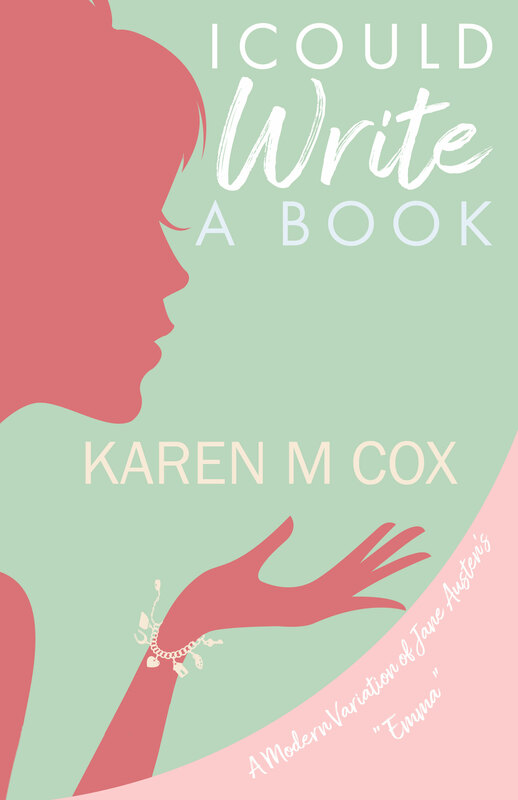 Today I am welcoming Karen M Cox with an excerpt of the much anticipated I Could Write A Book. 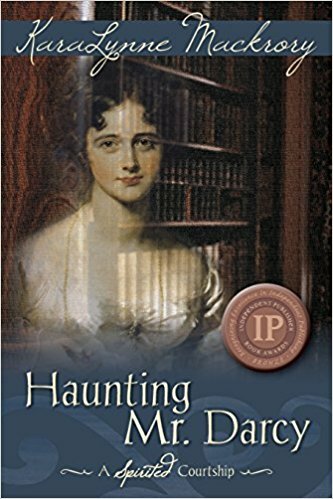 This book is a modernization of Emma and could not have come at a better time as we keep seeing more and more Pride and Prejudice variations coming to life, but not so many stories inspired in Austen’s other novels, and who doesn’t like something a little different once in a while? Before leaving you with the blurb and excerpt (not to mention the wonderful giveaway) I would like to thank Karen for being such an attentive guest and to wish her all the best with this new book 🙂 Thank you Karen! 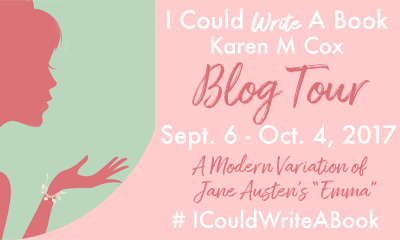 I Could Write a Book is the story of a self-proclaimed modern woman: Emma Katherine Woodhouse, a 1970s co-ed whose life is pleasant, ordered and predictable, if a bit confining. Rich with humor, poignancy and the camaraderie of life in a small, Southern town, I Could Write a Book is a coming of age romance with side helpings of self-discovery, friendship, and finding true love in the most unlikely places. 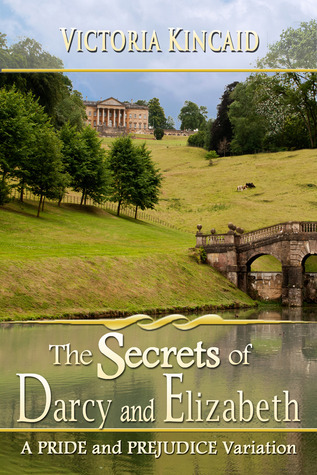 Thank you, Rita, for letting the blog tour stop here at From Pemberley to Milton! Today’s stop is an excerpt post, and it’s a fun one. Tim Elton insisted on driving me to Hartfield Road. “If I bring a girl to a party, I always see her safely home,” he insisted, opening my door, like we were on some kind of date. I growled under my breath and sent vile epithets to Jack Knightley, ten minutes in front of us. My mild annoyance turned to incredulity when he turned onto a scenic overlook of the Kentucky River and stopped the car. “Come on, Emma.” He put an arm around my shoulders and tried to draw me close. “It’s okay, baby. We’ve got it all straightened out now.” He leaned in again. If I hadn’t been so mortified, I would have laughed myself silly. Handsome, debonair Tim Elton, who always had that slick smile on his face was now opening and closing his mouth like a fish out of water. It made him just about that attractive too. After about a half minute of staring at me, he drew his lips together in an angry line and slammed the car into reverse. Fishtailing in the light blanket of snowflakes, he sped off down the road, driving so fast that I was thankful I made it to my driveway in one piece. I got out and slammed the door. Tim sped off into the dark, and I—embarrassed and furious—marched into the house. Well, that escalated quickly! I wonder what gave Tim Elton the idea that Emma had a thing for him? Karen M Cox is an award-winning author of novels accented with romance and history, including 1932 and its companion ebook novella The Journey Home, and the novels Find Wonder in All Things and Undeceived. 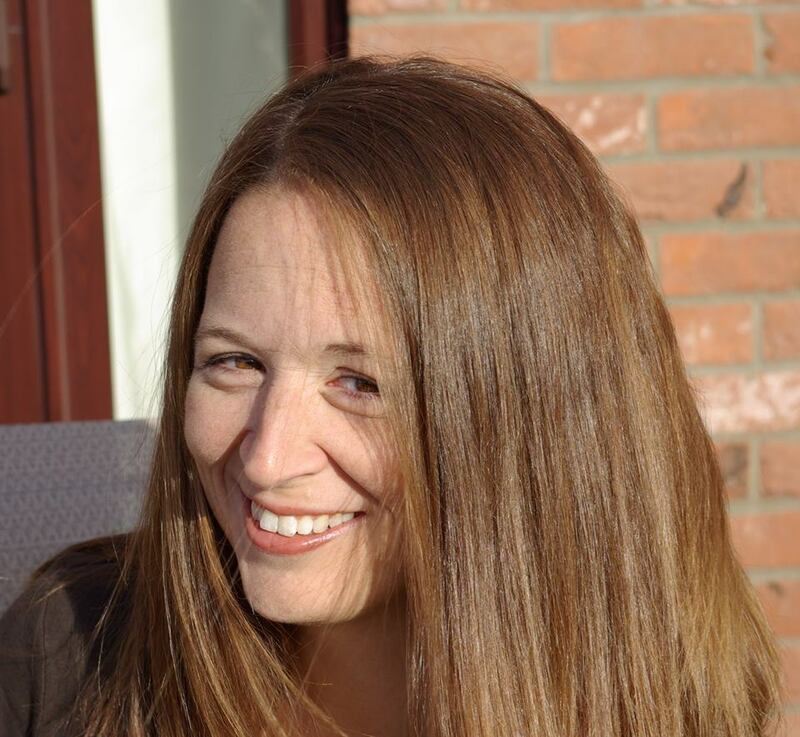 She also contributed a short story, “Northanger Revisited 2015”, to the anthology, Sun-Kissed: Effusions of Summer, and a story titled, “I, Darcy” to The Darcy Monologues. Visit Karen on several of the usual social media haunts such as Facebook, (karenmcox1932), Twitter (@karenmcox1932), Pinterest (karenmc1932), Instagram (karenmcox1932), and Tumblr (karenmcox). Karen loves to hear from readers, so don’t be shy. Contact her through social media, her website, or online sites like Amazon and Goodreads. Karen Cox has set up a Rafflecopter for two winners. 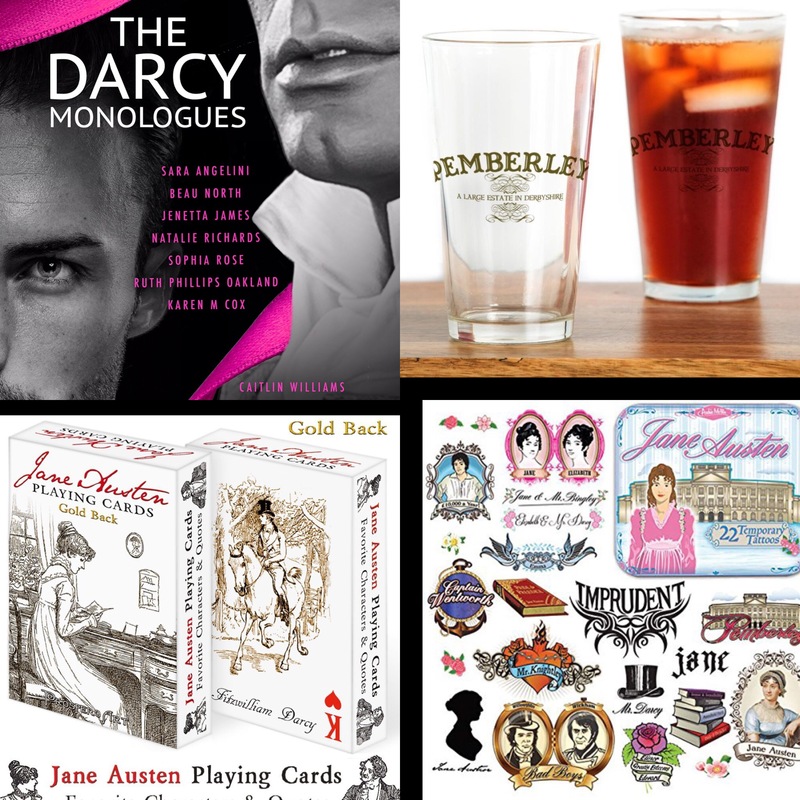 One winner will receive The Tea Pack: JA mug, Mr Knightley & Emma teas from Bingley’s teas, and a set of Jane Austen coasters The second winner will receive a Jewelry Pack, which contains a Little Emma charm on a necklace, Regency cameo earrings, Emma Bangle Bracelet, and a Jewelry Roll. These giveaways are open internationally. The giveaway ends on October 7th and the winners will be announced through the Rafflecopter widget on participating blogs. I hope you are enjoying the beginning of the weekend 🙂 I am having a wonderful time at home with hubbie and my kindle, that’s all a girl needs to be happy right? 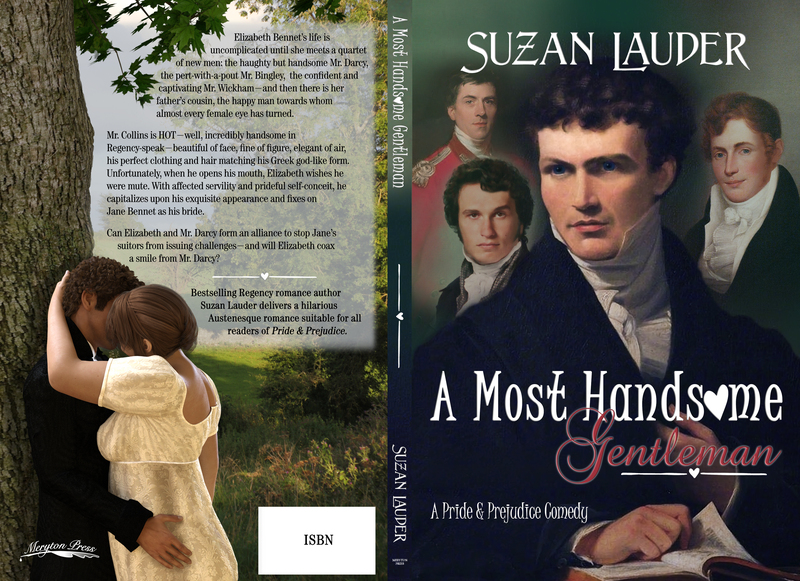 I’m also happy because today I’m having the opportunity to share with you the cover for Suzan Lauder’s new book, A Most Handsome Gentleman. You know how much I love covers, and how important I consider them, so I was thrilled to be doing the cover reveal of such an interesting book! Suzan Lauder is a talented author who comes up with very interesting premises and characters, so I was already expecting something different when I heard about this book, what I wasn’t expecting though was a HOT Mr. Collins!!! Yes, your eyes are not deceiving you, there is a hot Mr. Collins in this story…but let me share with you the book blurb so that you can find out for yourself of what this book is all about. Interesting isn’t it? I think this will be a very fun read and I can’t wait to get my hands into it. I also love the heart on the word handsome, don’t you think that is an adorable detail? I love the back cover too and I wonder how Janet created such an image! Even though it’s not hard to imagine some couples in this circumstance during regency, I do not believe any painter would dare to put it on canvas, so I’m imagining this is all her creation… Either way, congratulations Suzan and Janet! this cover is absolutely gorgeous, I love it !!! Book should be available on or about October 1, 2017. 150-year-old Spanish colonial home near the sea in Mexico. 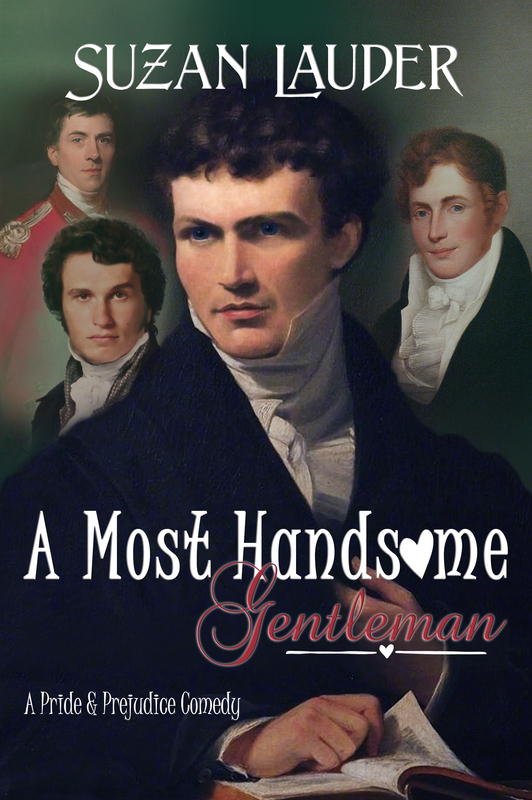 When this novella was serial posting at A Happy Assembly, I included a handsome Regency man’s portrait at the end of each chapter, each one intended to represent Mr. Collins in the story. Commenters there added a few portraits of their own and piped in on their idea of who might be the best #HOTCollins in this comedy twist. Over the last couple of months, I’ve shared many of those portraits in weekly posts on Facebook and Twitter, and readers have replied with amusing compliments. Because each of these hot men could be Mr. Collins in my story, any one could become good cover art for a book. My readers are savvy enough to realize I wouldn’t post the “real” cover, however, which is here for your enjoyment today. I had a great time working with Janet Taylor on the choice of HOT gentlemen as well as the amorous scene on the back cover, which is from later in the novella. I’m sure everyone will agree it’s a catchy cover for a twisted plot twist on Pride and Prejudice! Let me start by saying I would give These Dreams a 10 star rating if I could. I’ve read and loved all of Nicole Clarkston’s books, but so far this is her best novel and it only proves that talent can produce amazing books, but talent and experience are the recipe for memorable stories such as this one. 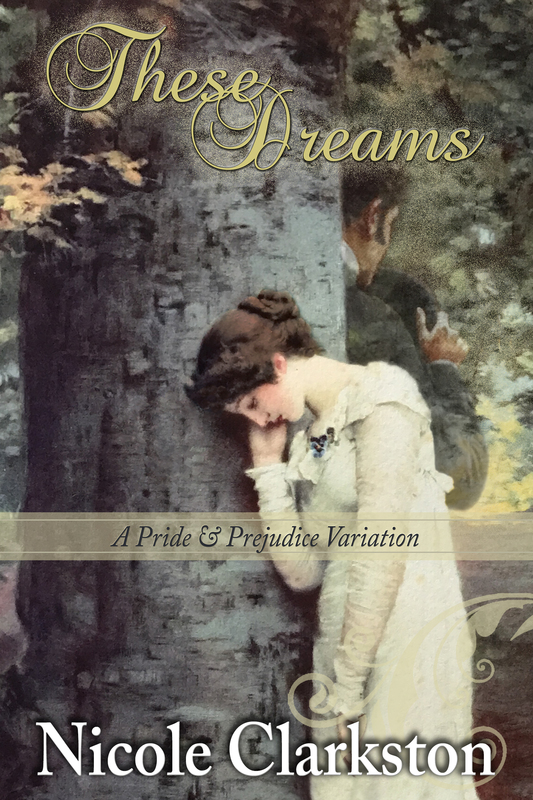 In These Dreams, after locating Wickham and arranging everything for his marriage to Lydia Bennet, Mr. Darcy is abducted and taken to Portugal where a mysterious plotline will be developed and new interesting and original characters will make their first appearance. Darcy will of course return to England, but some parts of the book occur in Portugal and as a portuguese I have to say that it is clear the author did a great job at historical and linguistic research. Everything on the portuguese settings is perfectly accurate, and reading words such as “Amo-te” and “saudade” so well placed in the dialogues warmed my heart. Bravo Nicole Clarkston! 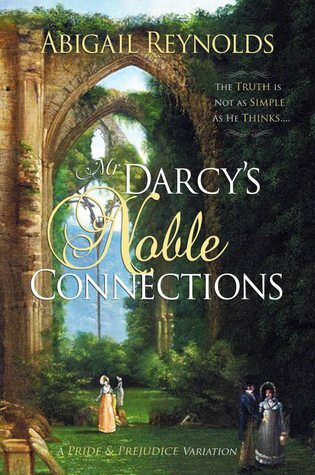 I believe some readers may consider the first part of the book a bit angsty but the intensity of Darcy and Elizabeth’s feelings for one another, and the very special way they were connected, make it a very romantic novel that is pleasing even for those who don’t normally tolerate angst, even because the moments between Darcy and Elizabeth after they are reunited are worth all the angst lived until that moment. The book is quite long but the cliff-hangers at the end of each chapter and the connections to the subsequent chapters kept me interested until the very end, making it seem a very fast read. In fact, the connection between the ending of one chapter and the beginning of another is part of why I love Nicole Clarkston’s writing so much, these little details in her writing make These Dreams a gripping book. Apart from Elizabeth and Darcy’s love story, which was profound, solid and beautiful, I absolutely LOVED Col. Fitzwilliam’s love story and love interest! Amália was an incredible character and I wish the author will some day dedicate a book to her and the Colonel. I kept wishing the next chapter would be about them, and sometimes, I even forgot about Darcy and Elizabeth, which says a lot! These Dreams is a masterfully written story, full of layers and twists that will keep the reader interested until the last page. The character development was incredible, not only when it comes to Darcy and Elizabeth, but also concerning secondary characters like Lydia and Wickham and even original characters such as Amália and her father. The book approaches several interesting subjects like PTSD, patriotist, religion, honour, trust and love that only add to its complexity and contribute to place These Dreams amongst the best JAFF books out there. This is a book that should not be missed and I can not recommend it enough for those who like quality literature, mystery and romance. only one name remains as his beacon in the darkness: Elizabeth. questions mount, Colonel Fitzwilliam must confront his own past. and happiness, but finds no escape from her dreams of him. Nicole discovered Jane Austen rather by guilt in her early thirties―how does any book worm really live that long without a little P&P? She has never looked back. A year or so later, during a major house renovation project, she discovered Elizabeth Gaskell and fell completely in love. Her need for more time with these characters led her to simultaneously write Rumours & Recklessness, a P&P inspired novel, and No Such Thing as Luck, a N&S inspired novel. Both immediately became best selling books. The success she had with her first attempt at writing led her to write three other novels that are her pitiful homage to two authors who have so deeply inspired her. 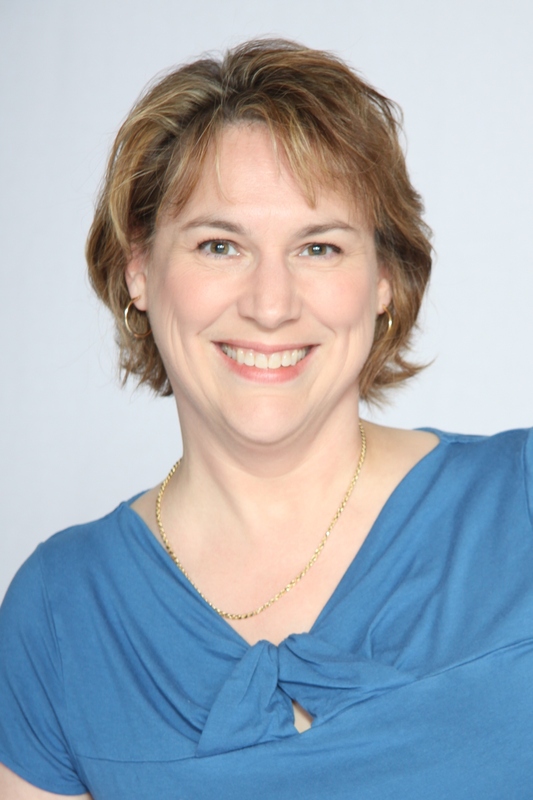 Nicole was recently invited to join Austenvariations.com, a group of talented authors in the Jane Austen Fiction genre. In addition to her work with the Austen Variations blog, Nicole can be reached through Facebook at http://fb.me/NicoleClarkstonAuthor, Twitter @N_Clarkston, her blog at Goodreads.com, or her personal blog and website, NicoleClarkson.com. 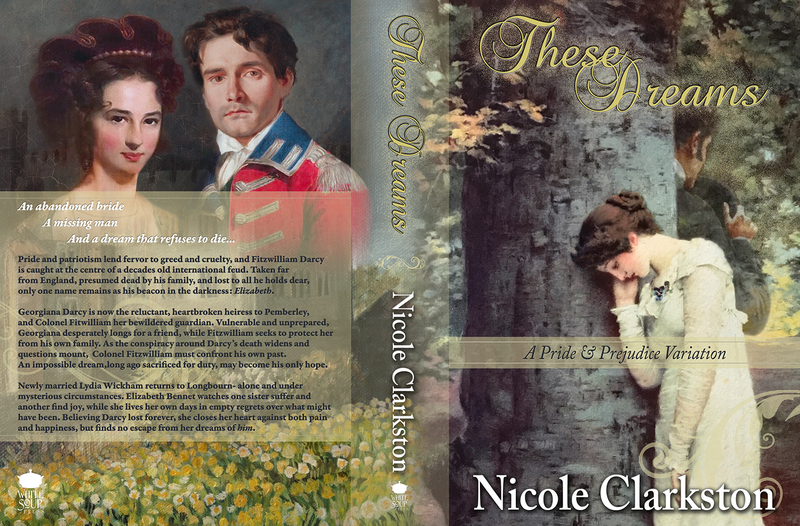 Nicole Clarkston would like to offer 10 eBook copies of These Dreams to readers following the blog tour. A winner may win ONLY 1 (ONE) eBook of These Dreams by Nicole Clarkston. Each winner will be randomly selected by Rafflecopter and the giveaway is international. To enter the Rafflecopter giveaway click here. 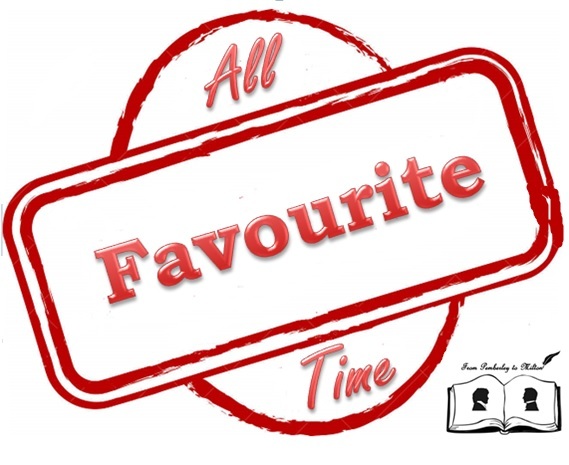 I have been wanting to publish a list of my favourite JAFF books for a long time, but I always felt the number of books I had read would not justify such a list. Now that my blog has celebrated 2 years, and that I’ve read over 150 JAFF stories, I think it is justifiable to share with all of you which ones are my favourite. There are several criteria that can be used to choose the best books one has ever read, such as the originality and interest of the plot, the writing style, the pacing, the ability to captivate the reader etc, but I always said that to me, a great book is one that has the ability to make me feel something. In my opinion the best books are the ones which cause such an impression in the reader that he will never forgets how he felt when reading it. That is what I consider a book memorable. And of course, I don’t think we can get caught in the story and feel so intensely attached to a book and its characters if the plot is not believable, or if the books is badly written, so if in the end I suppose all those criteria I mentioned before are also taken into consideration. A Peculiar Connection begins near the close of Jane Austen’s Pride & Prejudice. Bent on preventing the engagement of her nephew to Elizabeth Bennet, Lady Catherine de Bourgh declares that any union between Fitzwilliam Darcy and Elizabeth would be “a sin against Heaven itself!” Her shocking revelation, along with a cryptic message written over twenty years earlier, thrusts the couple into a whirlwind of heartbreak and disbelief. They must endure the exquisite torture of denying the indisputable desire that still hovers between them, but the journey is sooooooo wonderful that it’s impossible not to love this book. What if Elizabeth actually went to the Lake District and was nowhere near Pemberley, and she and Mr. Darcy never met again until another four years had gone by? Now they are very different people, altered by marriage, time and situation, although, Mr Darcy’s failed proposal in the Parsonage at Hunsford still haunts both of them in different ways. Nursing his wounds after his rejection by Miss Elizabeth Bennet, Fitzwilliam Darcy returns to London, a devastated and humbled man. The lady, meanwhile, is battling the unprecedented feelings stirred by having endured an innocent but intimate encounter with the gentleman in the aftermath of his proposal. 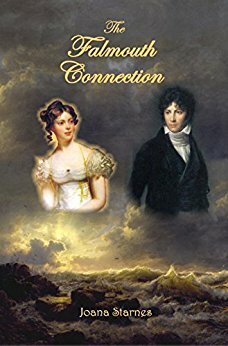 Soon on her way to Town herself for an unanticipated stay, she is comforted by the presence of an old family friend, one Nicholas Harington – the son of a wealthy family whose position in society rivals that of the Darcys of Pemberley and who has emerged as a potential suitor for Elizabeth. Two men are arguing while a ferocious rainstorm swirls round. And then the unthinkable happens: a lightning bolt from heaven strikes. In that instant everything changes. Jane Austen’s heartthrob hero becomes the bumbling Reverend Collins. 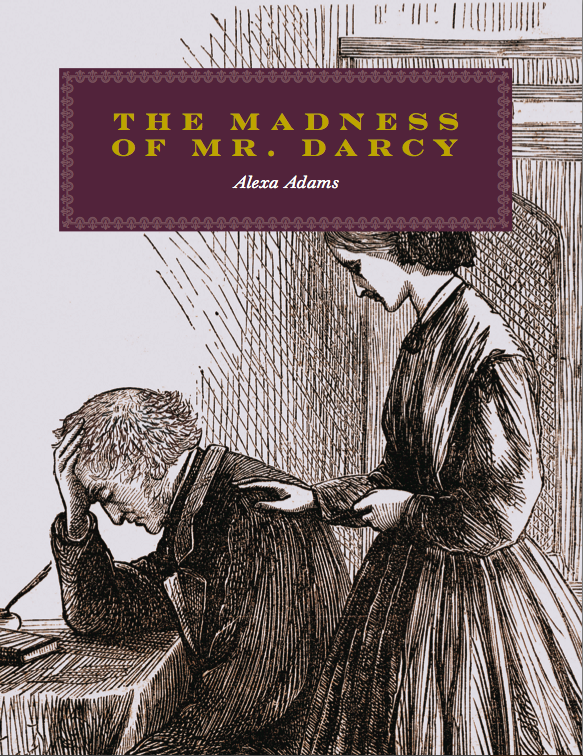 Shorn of his fortune, his social standing, and his good looks, Mr. Darcy is trapped in Mr. Collins’ body. And Mr. Collins wakes up to discover that he is master of Pemberley. What if Mr. Darcy’s rival for Elizabeth Bennet’s hand and heart is not some inconsequential stranger, but his dearest, closest friend? How is he to reconcile the claims of loyalty and kinship with the urge to pursue his heart’s desire? Perfect for those who can find the beauty of love after hardship and suffering. The year is 1832 and regrets beleaguer Fitzwilliam Darcy. All he ever cared for has been taken from him: his pride, his sister, and his true love, Elizabeth Bennet. Now, having nearly murdered a man in a fit of rage, he might lose Pemberley, too. More than just his home, his very identity is at stake. In desperation, he seeks the help of Dr. Frederick Wilson, owner and proprietor of Ramsey House, a madhouse for fine ladies and gentlemen. Is Darcy’s confinement the inevitable end to his tortured descent, or will he rediscover what he lost in the most unlikely of places? That fickle friend Fate intervenes when an unexpected event threatens the happily ever after of literature’s favorite love story. The gentlemen from Netherfield have left, winter is upon the land, and after a horrifying carriage accident, Elizabeth Bennet finds her spirit transported as if by magic into Mr. Darcy’s London home. Paranormally tethered to the disagreeable man, it doesn’t help that he believes she is a phantasm of his love-struck mind and not the real Elizabeth. Somehow they must learn to trust, learn to love and learn to bring Elizabeth back to her earthly form before it is too late. When Darcy discovers that Lord Charles’ new target is none other than Elizabeth Bennet, the woman who refused Darcy’s offer of marriage, he cannot stand by and watch as the woman he still loves is callously ruined. What he doesn’t know is that Lord Charles has a dark secret, and that his attentions to Elizabeth may not be what they seem. After a midnight rescue, clandestine meetings, a long-lost son, conspiracies, blackmail, and an attempted elopement, everyone can agree that this house party is anything but dull. Elizabeth Bennett never imagined her own parents would force her to marry a virtual stranger. But when Mrs. Bennett accuses Fitzwilliam Darcy of compromising her daughter, that is exactly the outcome. Trapped in a seemingly loveless marriage and far from home, she grows suspicious of her new husband’s heart and further, suspects he is hiding a great secret. Is there even a chance at love given the happenstance of their hasty marriage? Just as Mr. Darcy finally decides to propose to the enticing Miss Elizabeth Bennet, she is summoned to Falmouth, to meet a relation she never knew she had. It is 1803, and a treaty has allowed England and France to enjoy a brief moment of peace in the midst of the Napoleonic wars. Darcy is despondent over Elizabeth’s refusal of his proposal at Hunsford, so Colonel Fitzwilliam proposes a trip to Paris as a distraction. 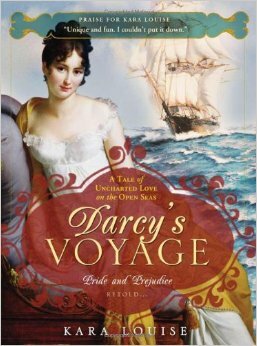 At a ball Darcy unexpectedly encounters Elizabeth, who is visiting Paris with the Gardiners. He sees this as his opportunity to court Elizabeth properly and rectify past mistakes. Before he can make much progress, however, England declares war again and Darcy must help Elizabeth flee France. 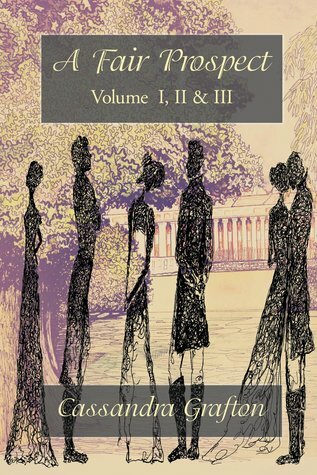 Elizabeth Bennet faces the greatest challenge of her life: Find a husband by the end of the London Season or be forced to marry the heir apparent of her family home, Mr. Collins. A romantic at heart, will Elizabeth find a gentlemen to meet her high expectations? I am giving away 5 signed paperbacks of some of my favourite books. 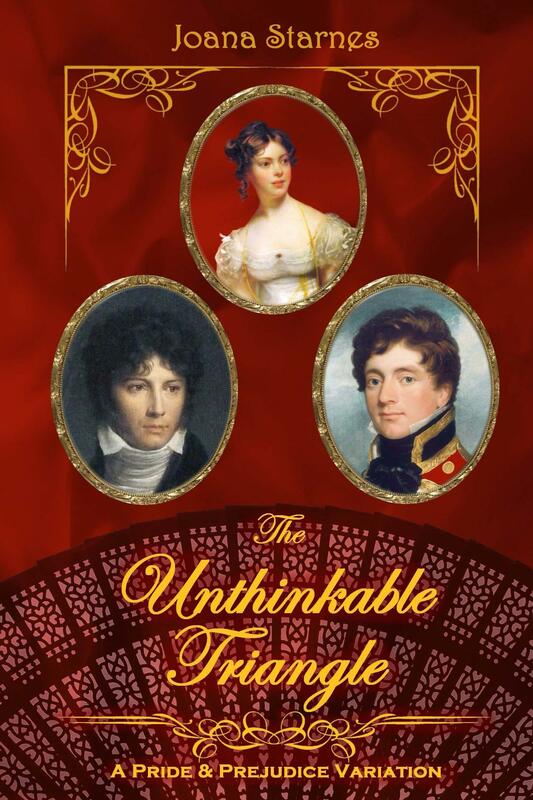 As you know I was very fortunate to meet Joana Starnes, Caitlin Williams and Cassandra Grafton on my last trip to the UK, so I asked them to sign several books to giveaway to my readers 🙂 Today I am offering The Falmouth Connection, The Unthinkable Triangle, Volumes I, II and II of A Fair Prospect and Ardently. All volumes of a Fair Prospect are signed, but they will be offered to one single winner considering they are one single story. The giveaway is international and will be open until the 30th of September. The winners will be announced shortly after. I believe some of you may have noticed that Amazon has been giving some problems to a couple of our beloved JAFF authors, with several errors occurring on publication date that prevented us from having our kindle copies to read. Amongst others, those issues happened with Catherine Lodge when releasing Fair Stands the Wind and Nicole Clarkston on the release of These Dreams. 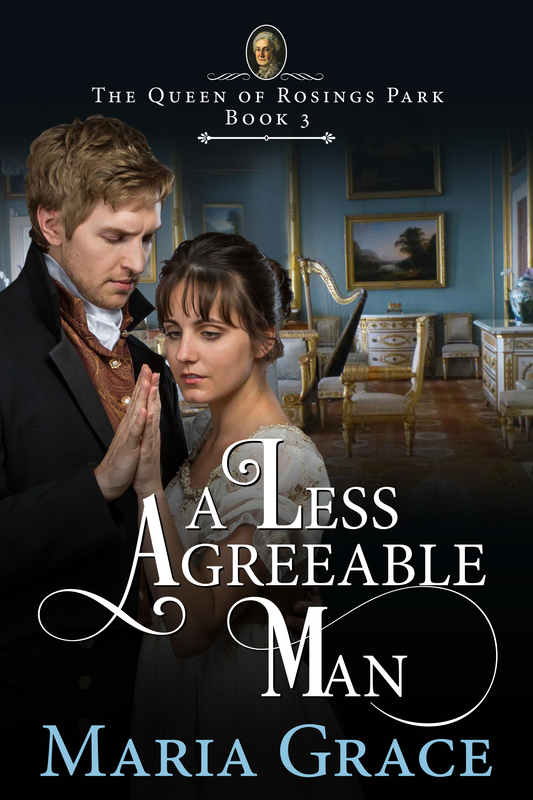 A few days ago Maria Grace has released a new book entitled A Less Agreeable Man which is the 3rd book in her series The Queen of Rosings Park, and today, she brings to From Pemberley to Milton a cut scene from it and a guest post about land stewards. It is always a huge pleasure to receive Maria in my blog because she always creates very interesting guest posts that teach me a lot about regency. In fact, she has also written some non-fiction books on the Jane Austen Regency Life collection that I consider very interesting, and would suggest to anyone who likes this era, they are: Courtship and Marriage in Jane Austen’s World and A Jane Austen Christmas: Regency Christmas Traditions. Dull, plain and practical, Mary Bennet was the girl men always overlooked. Nobody thought she’d garner a second glance, much less a husband. But she did, and now she’s grateful to be engaged to Mr. Michaels, the steady, even tempered steward of Rosings Park. By all appearances, they are made for each other, serious, hard-working, and boring. Michaels finds managing Rosings Park relatively straight forward, but he desperately needs a helpmeet like Mary, able to manage his employers: the once proud Lady Catherine de Bourgh who is descending into madness and her currently proud nephew and heir, Colonel Fitzwilliam, whose extravagant lifestyle has left him ill-equipped for economy and privation. Colonel Fitzwilliam had faced cannon fire and sabers, taken a musket ball to the shoulder and another to the thigh, stood against Napoleon and lived to tell of it, but barking out orders and the point of his sword aren’t helping him save Rosings Park from financial ruin. Something must change quickly if he wants to salvage any of his inheritance. He needs help, but Michaels is tedious and Michaels’ fiancée, the opinionated Mary Bennet, is stubborn and not to be borne. Apparently, quiet was not the same thing as meek, and reserved did not mean mild. The audacity of the woman, lecturing him on how he should manage his barmy aunt. The fact that she is usually right doesn’t help. Miss Bennet gets under his skin, growing worse by the day until he finds it very difficult to remember that she’s engaged to another man. Can order be restored to Rosings Park or will Lady Catherine’s madness ruin them all? Land Stewards: Professional help in running an estate. We often hear about gentlemen employing stewards to help manage their estates. Who were these men, though, and what did they do? Small estates, like Longbourn of Pride and Prejudice, could be managed by the master of the estate with the assistance of a non-professional man, called a bailiff. Typically a bailiff would be one of the major tenants on the estate, hired to act as a go-between to collect tenants’ rents. In the era, it would have been considered vulgar for a gentleman to collect the rents himself. Larger estates, like Darcy’s Pemberley or Lady Catherine’s Rosings Park, were major economic endeavors that necessitated professional help in the form of a steward. Where the bailiff simply collected rents for the master of the estate, the steward was responsible for actually running the business of the estate and thus was integral to its success. He had to be an educated man, often the son of clergy, a smaller landowner or a professional man. He needed a head for numbers, scrupulous record-keeping skills, an exceptional knowledge of all aspects of agriculture, and excellent people-skills. Typically he would be university trained as a solicitor, necessary because of his dealings with contracts. A steward was not considered a servant, but rather a skilled professional with a higher status than the family lawyer. Stewards were tied to the estate and did not travel with the master of the estate. They managed all the activities associated with making the estate profitable, including record and account keeping, managing contracts, and overseeing the agricultural aspects of the home farm. A good steward kept meticulous accounts and records of everything—seriously everything. In addition to the expected accounting that would go with such an enterprise, he kept logs of work done, including repairs to buildings, fences and roads, as well as records of the parkland, game animals, livestock and crops. He also maintained a rent roll of tenancies and records of the farm boundaries. Further, an estate employed a number of department heads, such as the head gardener, head gamekeeper, and the like. The steward kept records for all these departments and paid the wages of their workmen. A steward’s salary related both to the size of the estate and his expertise. Typically, a steward’s salary would range from £100-300 annually. In addition he would have use of a private house on the estate. For reference, Austen’s Longbourn had an income of about £2000, which probably put hiring a steward out of their range. Although not nearly as hazardous as many professions of the era, working as a steward was not without risks. Although employers relied heavily upon their stewards for their efficient management of their estates, that did not prevent employers from doubting their honesty, especially as the large sums that many of them handled offered opportunities for speculation. Accusations of wrongdoing could ruin a man’s reputation and (wrongful) conviction for the same could result in prison time or worse, depending on the amount of money involved. Since the steward was also in charge of collecting the rent from the tenants, he could be an unpopular figure. Historical records show assaults on stewards and in one case, the murder of one. So, in a very literal sense, his people-skills could be a life-saver. Austen, Jane, and David M. Shapard. The Annotated Pride and Prejudice. New York: Anchor Books, 2003. Karsten, Susan. 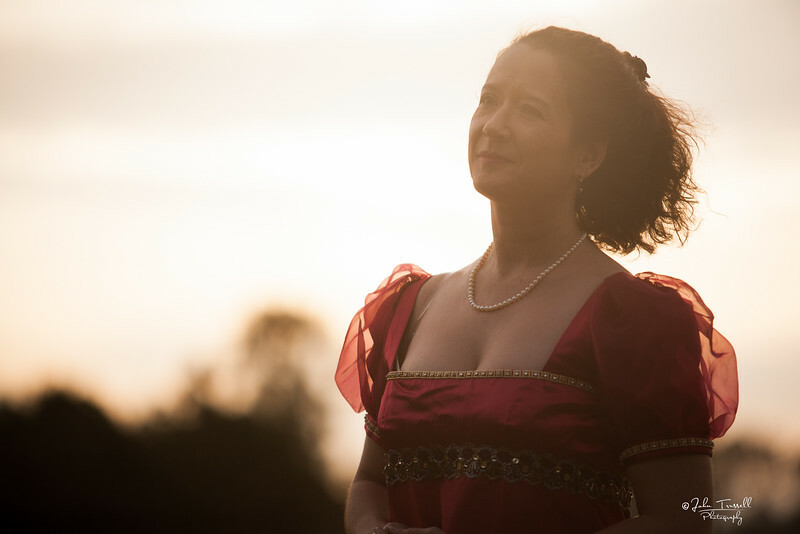 “The Steward: Guardian of the Noble Estate (Farm).” Vanessa Riley’s Regency Life. Accessed May 26, 2014. Ray, Joan Klingel. Jane Austen for Dummies. Chichester: John Wiley, 2006. Sullivan, Margaret C., and Kathryn Rathke. The Jane Austen Handbook: Proper Life Skills from Regency England. Philadelphia, PA: Quirk Books, 2007. The brass inlaid mahogany bracket clock on the parlor mantle chimed five o’clock and Charlotte instructed the maid to set the table for dinner. The Collinses and Mary gathered in the parlor to await their dinner guest. Weak rays of daylight streamed through the windows, but they had lost the warmth of afternoon, leaving a faint chill in the air. But it was too early for candles or a fire, so the room hovered between day and night far earlier than necessary. Mr. Collins paced from the fireplace to the old fashioned portraits on the far wall, between the sofa where Charlotte sat and settee where Mary perched, dodging around the leather armchairs placed a little too close to walk between. In time with each footfall, he pontificated on Lady Catherine’s opinions regarding the virtue of timeliness. It would have been annoying enough had those been his own opinions. But they were only Lady Catherine’s, and that made him insufferable. The floorboards under the worn carpet squeaked and groaned with each step, as if to agree with every word. They were the only things in the room that did. The clock chimed six times, and Mr. Collins excused himself to his room where he could watch the lane from his windows as though that might make their guest appear sooner. “I am sorry, Charlotte.” Mary studied her hands. Her fingernails had become rather ragged. How unladylike. “I know you are right, but still…” Mary sighed and picked up her book once more, squinting and holding it very close to make out the words in the failing light. A loud rap at the parlor door made Mary jump. Mr. Collins trundled in a candlestick in hand, Mr. Michaels just behind. “Please forgive my delay. It was difficult to break away from Colonel Fitzwilliam.” He glanced at Mary. Something about the look in his eye suggested that there was a great deal more that he needed to tell her. At least his excuse of service to the colonel had to be acceptable to Mr. Collins. “Shall we to the dining room?” Charlotte did not wait for an answer, shuffling past them and out the door. The quaint, cozy dining room could easily accommodate more than twice their number, though the oblong oak table was really too large for the space making them edge awkwardly around it as they tried to seat themselves. Decorated in a manner befitting their station, all overseen by Lady Catherine’s hand, it had the flavor of Rosings all over it. Not so much Rosings, but a stripped-down impoverished version of it that Lady Catherine saw fitting for those beneath her. No crystal glittered in the candlelight. The pewter candlesticks muted rather than reflected the candles glow. Few mirrors graced the room, only those that could be excused as economies—reflecting the light so as to reduce the necessary number of candles. Deep burgundy paint covered the walls, paintings—mostly apprentice-effort florals and landscapes—hung in odd places covering up scratches and spots the paint had chipped away. The chairs all matched, but the seats were covered in serviceable dirt-colored fabric. Only the one at the head of the table had arms. Eight platters—china, earthenware and pewter, all plain and sturdy—held fragrant offerings. The most notably, a joint of roast pork that made her mouth water. Mr. Collins carved the it, a larger cut of meat than they usually enjoyed. But now that Lady Catherine was less likely to countermand her orders at the butcher, Charlotte exercised greater freedom at her table. “Are things well at Rosings?” Mr. Collins piled sliced pork on his plate and sat down. “They remain in the state that they have been for some time.” Mr. Michaels used that special, patient tone that belied great impatience with the conversation. “So then your news from London was favorable?” Did Mr. Collins think himself so subtle that none could tell he was hoping for more intimate news from the manor? “It was as expected. I have discussed it at length with Colonel Fitzwilliam.” Mr. Michaels took a large mouthful of stewed spinach, one which would take a long time to chew. “We have had some news of our own.” Charlotte caught Mary’s eye briefly. Bless her gentle ability to shift the conversation. She was truly a social asset to her husband, even if he did not realize it. “Was the mistress of the estate safely delivered of her child?” Mary took a tiny bit of pease pudding, one she could swallow quickly if she needed to respond—or redirect the conversation—quickly. The peas had not been cooked quite long enough and the cook and skimped on the bacon, leaving them just a touch mealy and lacking in salt. Edible, but not entirely pleasing. “A son was born, but did not survive the week. Sadly, his mother was succumbed to childbed fever as well.” Did Collins really have to talk through a mouthful of pork? No wonder Charlotte was contemplating disaster. There was an ulterior motive to today’s invitation after all. “It is interesting how the hand of Providence comes to work.” That was not humility in Mr. Collins eyes. “What then will become of Hunsford Parish?” Mary’s stomach roiled. In the past, Lady Catherine would insist on hiring the curate herself or hiring a bailiff for the estate and managing that to her satisfaction. As it was now, she would probably just throw a fit. A long, protracted one, that someone how Mary would be called upon to manage. “Would you like me to go with you, to talk of how Lady Catherine might be … comforted during this time?” Mary whispered. 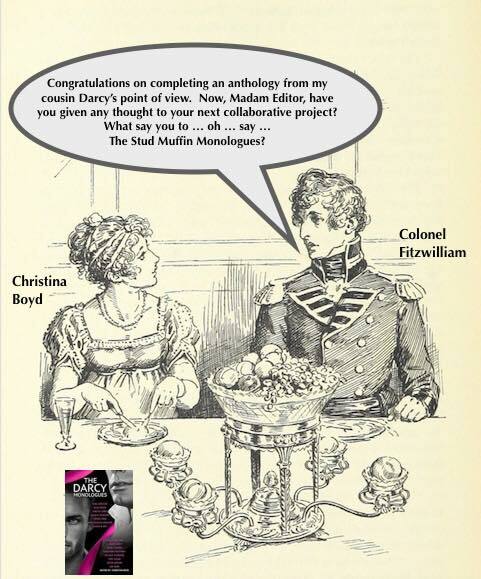 Mr. Collins probably would not like the implication that Lady Catherine required management. “I would very much appreciate your assistance. With all the other concerns weighing upon him, the colonel has little patience for Lady Catherine. I think your calm input would be of great value.” Mr. Michaels’ sharp glance silenced Mr. Collins before he could offer his opinions on the matter. I’m very happy to be hosting author L.L. 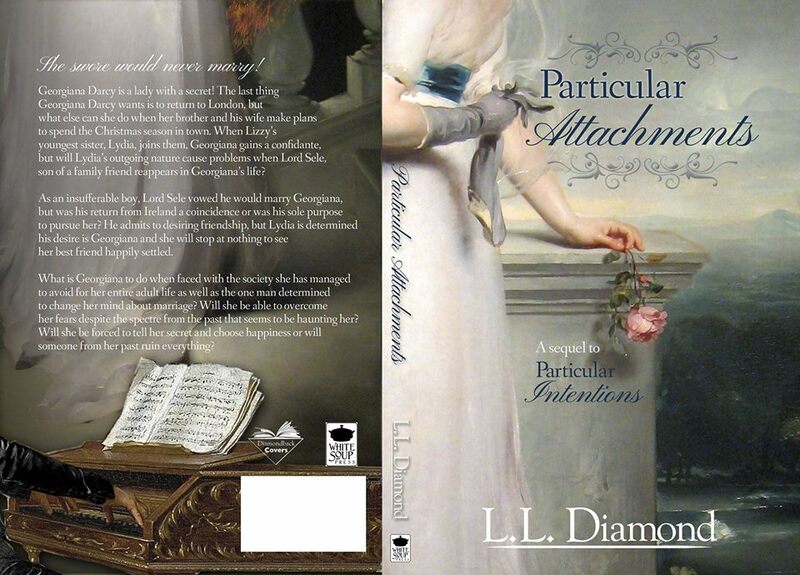 Diamond for the first time at From Pemberley to Milton with an excerpt of her upcoming novel Particular Attachments. I am currently reading her book Particular Intentions, so I cannot think of a better timing to be sharing with you and excerpt of its sequel. Thank you so much for having me! It’s so nerve-wracking and exciting to finally be publishing Particular Attachments! I really enjoyed writing Georgiana’s story and introducing Lord Sele. I just love him. I hope the readers do as well! From the edge of the ballroom, Georgiana sipped her punch while Lydia chatted merrily with her current dance partner. Her behaviour had been similar with all of her partners thus far: open and gregarious. She was definitely enjoying the ball. Georgiana peered a short distance away where Lizzy and Fitzwilliam were deep in conversation with a good friend of her brother’s. Lizzy tilted her head as she regarded Georgiana. Lizzy was ensuring she was well, so she lifted a corner of her lips to set her sister’s mind at ease. In contrast to Lydia, Georgiana’s card this evening had been dominated by her male relations, who all made certain she was not forced to endure awkward conversation with a stranger during her first ball. Uncle Henry, her brother, Richard, and Milton had each partnered her for a dance and now, she struggled not to fidget while she awaited Nathaniel for the next set. Lady Lindsey had greeted her after the second set, and they spoke amiably until Richard claimed her hand before the music could begin again. She had even espied Lord Lindsey taking a turn with his wife, but thus far, Nathaniel was missing. She dropped ungracefully from her toes as she attempted to whirl around. A palm supported her elbow while she steadied, her punch splashing precariously around the edge of her cup. Did it spill? A glance down the pale blush silk revealed her gown was unblemished. Thank heavens! “As I said, I humbly beg your forgiveness.” His voice was tinged with humour. Good heavens! He was still as impossible as when they were young! “You did?” Fitzwilliam would have allowed the privilege with the close relationship of their families, but he was correct. Her brother would enjoy pestering Nathaniel if she refused to dance with him now. She placed her punch on a passing servant’s tray and rested her hand upon the heavy wool of his sleeve. Better to have this portion of the evening concluded than to prolong the agony. Dinner! Custom dictated they be seated together during the meal following, and he actually expected it of her. Could she not sit with Lydia and Lizzy? “I had not thought . . .” What was she to say? Would he consider her rude if she claimed she had no desire to dine with him? “Nathaniel!” called Lady Lindsey, strolling forward on her husband’s arm. “I am glad to see you have arrived. I sent the carriage back as you requested.” A mischievous glint lit the lady’s countenance and Nathaniel’s face coloured. Georgiana flinched. He arrived a few moments ago? He avoided the beginning of the ball and made an appearance merely for their set and dinner? His steady and sure stride brought them to the top of the set near Lydia. The impertinent hussy glanced over and bit her bottom lip with a grin. Oh no! Lydia would not embarrass her again, would she? A few moments after he took his place across from her, the music began and Nathaniel bowed as she curtsied. They both stepped forward and joined hands. Their turn completed, they retreated to their original positions and awaited the other members of their group to take their turn. Nathaniel’s curved lips and the crinkles at the corners of his eyes betrayed his amusement. How could he prick every last nerve she possessed? As the pattern shifted them together once more, he stepped a hairsbreadth closer than necessary. “I beg your pardon if I caused offence. You will forgive me, will you not?” His bottom lip protruded into a slight pout. He appeared ridiculous with such a childish expression. A laugh burst from her, and she pressed her lips together in an effort to quash the sound. A wisp of his breath caught her ear and a frisson travelled down her spine, causing her to start. “I might. If you behave as you did at twelve.” Good! Her voice did not tremble! They parted to take their places in the line once more. They bowed and curtsied when the first song ended. With a tilt of the head, he stared at her while the music for the second dance began. They again honoured their partners and Georgiana stepped inside to turn with the neighbouring gentleman. When she returned to the line, Nathaniel did the same with the lady beside her. When they joined hands, he drew her closer. Blurb: She swore would never marry! I’m Christina Boyd, the editor of The Darcy Monologues, and I am thrilled to finally announce that my next anthology project, Dangerous to Know: Jane Austen’s Rakes and Gentlemen Rogues, is well underway. My team and I thank you for helping us launch the news to the Jane Austen community. Jane Austen’s masterpieces are littered with any number of unsuitable gentlemen—Willoughby, Wickham, Churchill, Crawford, Tilney, Elliot—adding color and depth to her plots but often barely sketched out to the reader. Have you never wondered about the back story of her rakes and gentlemen rogues? Surely, there’s more than one side to their stories. 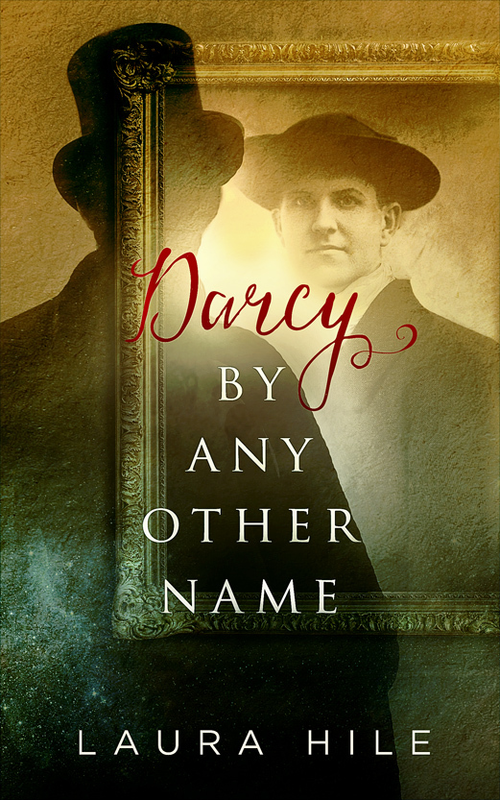 After publishing The Darcy Monologues in May 2017, murmurings began about another project. Maybe from Miss Elizabeth Bennet’s point-of-view? With a surfeit of quality Jane Austen fanfiction recounting Lizzy’s story, I thought it might be a more titillating challenge to expose the histories of Jane Austen’s anti-heroes. It is a universal truth, despite our wisdom, we are captivated by smoldering looks, dangerous charms … a happy-go-lucky, cool confidence. Alas, some of us fall for the one that needs to be mended. All the while, our BFFs are shouting to deaf ears, “He is a cad! He is a brute! He is all wrong!” But isn’t that how tender hearts are broken…by giving credit to the undeserving? How did they become the men Jane Austen wrote? The challenge was just too delicious to not undertake. What say you? Are you in? Everyone may be attracted to a bad boy…even temporarily…but heaven help us if we marry one. Dangerous to Know: Jane Austen’s Rakes and Gentlemen Rogues will be released mid-November and is listed at Goodreads so you might add to your “Want to Read” list. To help us celebrate this project, we have prizes! One international Grand Prize via rafflecopter link. 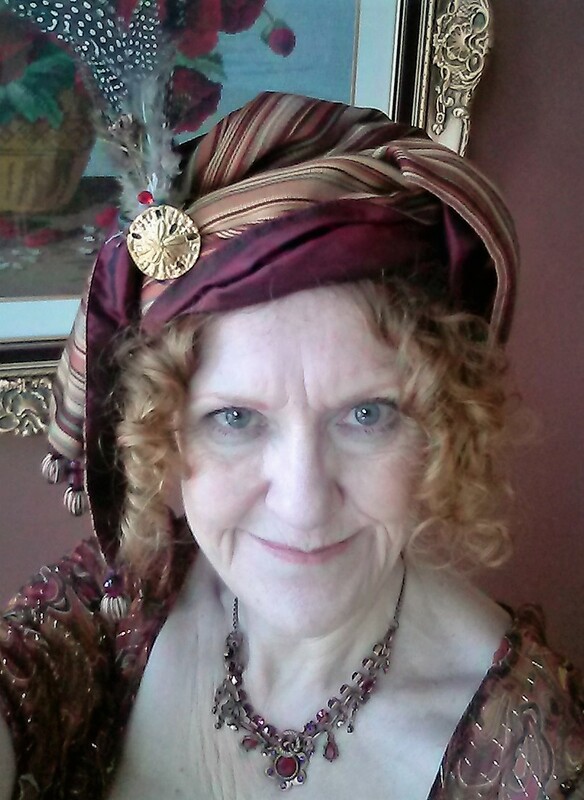 Last month I received for the first time in From Pemberley to Milton author Sharon Lathan for one of the most interesting guest posts I ever hosted. 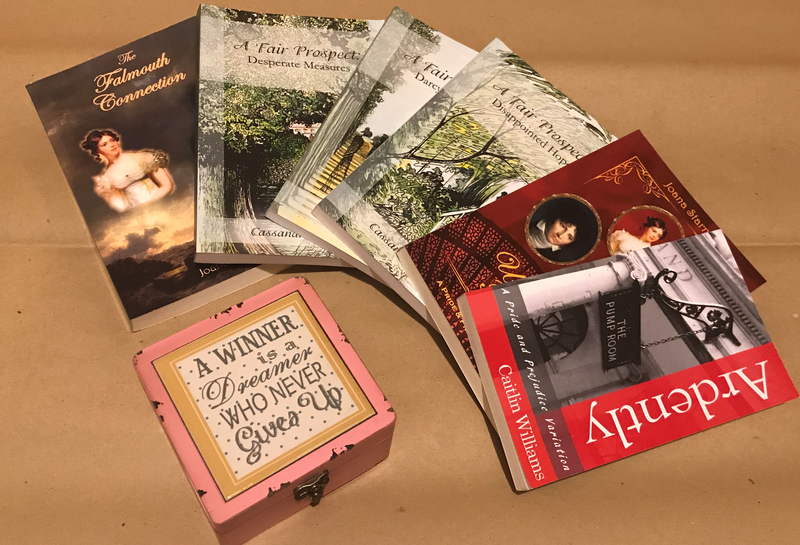 She was celebrating her recently released Darcy and Elizabeth: Hope of the Future and brought a quiz she dared my readers to take as part of the giveaway she was offering. Those who attempted the quiz earned 1+ bonus point for the attempt and 1+ bonus point for each correct answer. The total points earned equalled a name entry into Random.org which increased the odds of winning an eBook copy of her newest novel. But before announcing the name of the winners, I would like to share with you the correct answers to the quiz (marked in bold). Congratulations ladies!! Please send me your contacts until the 15th of September so we can send you your prizes. Unfortunetely if we don’t hear from you, we will have to give the prizes to the readers who were drawn right after you.